Gateway - This should be set to "PayPal Standard" and will not show up on the frontend. Show Payment Icon - When checked or unchecked, this will show or hide the PayPal symbol for this gateway option. Primary PayPal Email - This is where you should enter the email associated with your PayPal Account and can be found by going to PayPal.com > clicking Profile near the top right corner of the page > Profile and Settings > Business Information. Advanced Mode (Only works for PayPal accounts created after 2009) - Check this box to reveal the option to enter your Paypal API credentials. Click here for PayPal docs on how to set this up or see the above video between minutes 1:00 and 3:23. Use PayPal Sandbox - Check this box if you would like to use PayPal Sandbox for Testing. 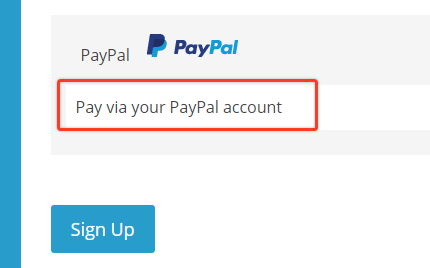 IMPORTANT NOTE: because of how PayPal Sandbox works, you will NOT be able to simply check this option and start testing! You will have to follow our instructions given here to setup a Sandbox account and testing gateway. Send PayPal Debug Emails - Only enable this option if you are having issues with your PayPal gateway and know how interpret debug emails or have been told to enable them by our support team. Enabling this option will send out about 5 separate debug emails to your email found in your General WordPress Settings. 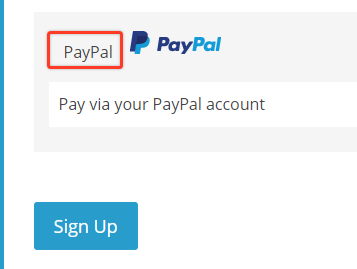 PayPal IPN URL - Click the clipboard icon next to this URL to copy the IPN that needs to be entered into PayPal for your gateway to work properly. The IPN is entered by going to PayPal.com > clicking Profile near the top right corner of the page > Profile and Settings > My selling tools > Getting paid and managing my risk section > and clicking the update option to the right of Instant payment notifications. Or you can see how this is done between minute 3:23 and 4:55 in the above video. Return URL - the Return URL is entered by going to PayPal.com > clicking Profile near the top right corner of the page > Profile and Settings > My selling tools > Selling online > and clicking the update option to the right of Website preferences. For the other settings on this page you’ll wan to set "Payment Data Transfer" to ON, and you want to have the Encrypted Website Payments option set to OFF. You can see how this is done between minute 4:55 and 6:22 in the above video. Important Note about Pausing/Resuming with PayPal: When using PayPal as a gateway, we recommend that you disable the ability to Pause/Resume subscriptions. This can be disabled in your MemberPress > Options > Account tab > Permissions section > checking the option entitled "Allow Members to Pause & Resume their own subscriptions". This is because the PayPal gateway currently only resumes subscriptions on the subscriptions renewal date, NOT the day they click resume. For example: if the subscription is monthly, and the user purchased on the 1st, pauses on the 15th of the month, and later resumes on the 2nd, then their subscription wouldn't renew until the 1st of the next month. The result will be longer if the billing term is longer, like in the case of a yearly subscription. For this reason, we highly encourage our users to disable the ability to pause and resume recurring subscriptions. Note about Pausing/Resuming Subscriptions with PayPal: PayPal does not send out an IPN when a Subscription is resumed. Because of this, we strongly recommend that you do not resume a subscription from within PayPal itself -- rather always resume your Subscriptions from within the MemberPress admin interface. If a member resumes a Subscription within their own PayPal account, MemberPress will NOT be notified and the Subscription will still show as "paused" in your dashboard - so be aware that there may be cases where you would need to manually change a Subscription's status back to "enabled". Important Note About Trial Periods with PayPal Standard: If the trial period with PayPal Standard and MemberPress is a number of days greater than 90 and NOT divisible by 7, 30, or 365, then we round your trial period to the nearest 7 to be compliant with PayPal's rules for trial periods. For example 92 days would be rounded to 91 days, which would translate to a 13 week trial period. This applies for coupon trial periods or any other trial period as well. Also, when a user upgrades or downgrades and an artificial trial is used for their pro-ration, MemberPress will round their trial days to the nearest divisible increment as stated above. To test with PayPal, you are required to set up a Sandbox Account. For detailed instructions on how to do this, please visit this page. To learn how to process a refund within PayPal please click here. If you have Advanced Mode enabled you as admin will be able to process a full refund for any transaction by going to MemberPress > Transactions > Searching for the transaction by Username or other > Hovering over the unique Transaction ID (should be a random string of numbers and letters) > and clicking the refund link. You'll know that you've done this right if you are shown a pop-up to confirm the refund. Subscriptions and/or Transactions aren't updating correctly - If you are seeing subscriptions connecting to MemberPress with an ID that looks like mp-sub-xxxxxxxxxx and transactions that have ID's that look like mp-txn-xxxxxxxxxx then the issue is related to your IPN configuration. Please be certain that you have correctly entered your IPN. You can review how to do this between minute 3:23 and 4:55 in the above video. User's aren't being taken to your Thank You page - This means that you haven't correctly entered your return URL and/or configured it's settings. Please review this between minute 4:55 and 6:22 in the video on this page. Users are getting this system error: There was a problem with our system: The connection to PayPal failed. - This means that your gateway hasn't been saved correctly or that you haven't correctly connected your PayPal account with MemberPress. Please make sure that you have saved your gateway and if you still have issues after that, review the entire video above. Users are getting this system error: "Things don't appear to be working at the moment. Please try again later." - This error occurs by not correctly following our instructions above when setting up the Return URL and other Website Preferences Settings (see minute 4:55 - 6:22 in the video above). Specifically, this occurs when "Block Non-encrypted Website Payment" is turned ON, when it needs to be OFF. You or the user aren't receiving the MemberPress Welcome email, New user sign up email, or other MemberPress emails - These new user MemberPress emails are triggered during the registration process by a completed transaction. If the transaction isn't completing in MemberPress, but is marked as such in PayPal, then this is related to the IPN not being setup correctly. You can review how to do setup your IPN between minute 3:23 and 4:55 in the above video. Your users are being taken to a page that says, "The link you have used to enter the PayPal system is invalid. Please review the link and try again." - This likely means that you have incorrectly entered the email for this gateway in your MemberPress > Options > Payments tab. To resolve this issue, please make sure that you are using the main (primary) verified email address for your PayPal account, and that it is formatted correctly. If you are 100% sure that you have correctly entered the email, check for plugin or theme conflicts by deactivating possible suspects and testing again. Plugins that encrypt emails or other security plugins are usually the cause.